Thame is a vibrant town with a strong economic offering. 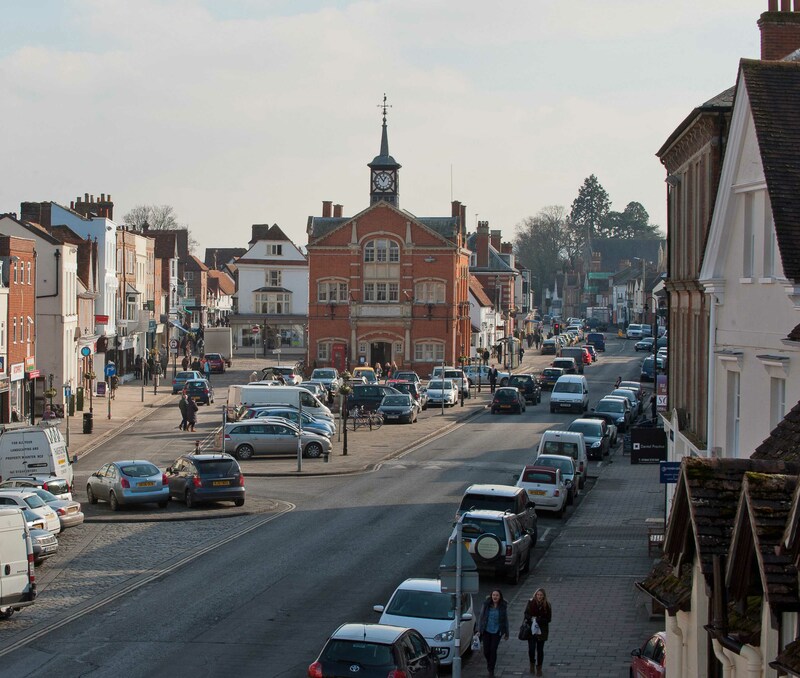 Thame’s economy has stayed strong during recent years because businesses are attracted by its highly skilled population, historic town centre and great transport links to London, Reading and the Midlands. It hosts the headquarters of a number of world renowned companies such as: Kubota, Booker Tate, Lucy Switchgear, CPM, Unicarriers UK Ltd, and Travelodge. Other large local employers include: Harrison Catering, Field Sales Solutions, Imago Publishing Ltd and SUEZ Water UK. There is a cluster of marketing and consultancy businesses operating in Thame and a businesses in the automotive industry e.g. Unicarriers UK Ltd. Thame’s strong agricultural history is also reﬂected in its businesses (e.g. Kubota, Booker Tate, Farol Ltd, Mole Valley Farmers Ltd, and Thame Farmers Auction Mart. The town’s population is just over 11,561. 79% of the working age population is economically active, including full and part time employees, self-employed and unemployed. The 2011 Census reported only 2.9% of the populate were unemployed compared to 6.3% nationally. Levels of education are high, with 35% of the people ages 16+ having been educated to degree level or above. The 2011 Census reported a 35% of the economically active being employed in professional or associate professional and technical occupations. Phoenix Trail link to Princes Risborough. Thame dates back to Saxon times and originally developed around the church, then later around the market, which has been held on Tuesdays since 1230 AD. Markets continue to play a signiﬁcant role in the town with a charter market every Tuesday and regular livestock markets on Saturdays and a farmers’ market on the second Tuesday every month. These bring many people into the town from its extensive hinterland of more than 23 villages. Thame also has a long tradition of shows and festivals. The Thame and Oxfordshire County Show dates back over 130 years and the annual charter fair to medieval times. More recently, Thame has been hosting an annual Food Festival and an Arts and Literature Festival. The Thame Food Festival has made the most of the great food and drink offer in and around the town, including the Thatch (one of the Peach Pubs), and Raymond Blanc’s prestigious Le Manoir aux Quat’ Saisons. Thame also features regularly in the popular TV series Midsomer Murders. The town offers many sports and recreational facilities: Meadow View Park, home of Thame Football partnership, Chinnor Rugby Club, Thame Leisure Centre with an indoor pool and Racquets Fitness Centre, which is a centre of excellence for squash. It also has clubs for tennis, bowls, cricket and hockey. Nearby is The Oxfordshire Golf Club, which has welcomed some of the world’s best golfers and where a number of professional tournaments have been held. Thame’s close proximity to the Chiltern Hills offers extensive walking opportunities and the Phoenix Trail between Thame and Princes Risborough provides an excellent amenity for walkers, cyclists and horse riders. Thame has an excellent secondary school, Lord Williams’s, and a strong partnership of primary schools. The town has recently beneﬁted from new housing development and some more is planned.